Its hard to deny how beautiful the setting is here at Daylesford Cider and how well suited it is for functions, events and live music. The English-style Tavern and courtyard is set in amongst landscaped gardens with views towards the top orchard. The Tavern itself features high-pitched ceilings, timber beams, flagstone floors and a large open fireplace. Throughout the year we hold live music and events on various weekends, so check out the events calendar below. Weddings | Christmas Parties | Birthday’s | Anniversaries | Hen Parties | Car Clubs | Walking Groups | Probus | Charity Events | Corporate | Orchard Tours | and so much more. There really is no occasion too small to celebrate – we host car club lunches, birthday parties, 50th wedding anniversaries, corporate events, Christmas parties, Hen’s groups and of course, weddings. The welcoming open-plan bar reception room offers ample space for group tastings, reception drinks and informal gatherings with comfortable sofas and smaller dining tables. There are two further reception rooms that can be hired individually, or together, depending on the party requirements. 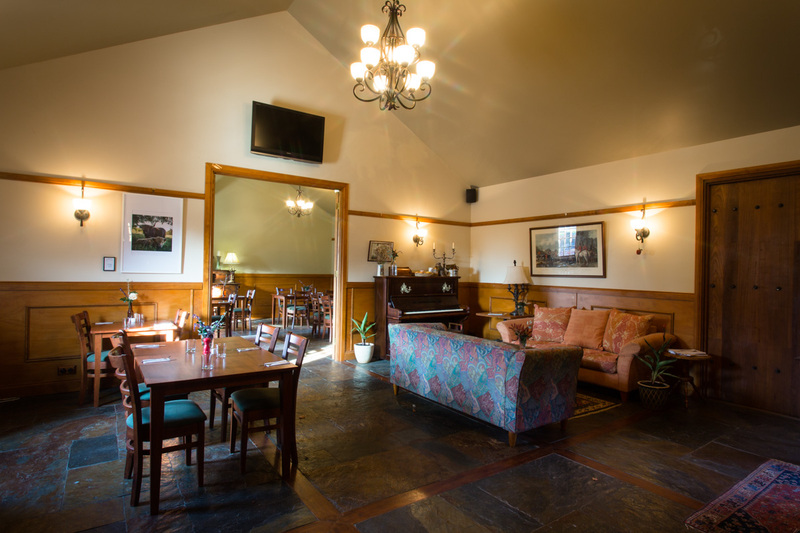 The main dining room can accommodate up to 60 for a sit-down dinner and up to 30 guests in the smaller dining room. When the sun is shining the courtyard is a wonderful place to gather for drinks with family, friends and colleagues. A variety of garden games, such as Giant Jenga and Bocce, are also available. We have the ideal grounds in which to tie the knot and a gorgeous backdrop for your country Victoria wedding reception. Get in touch to see how we can help you with your special day. Hire our space for your next conference with catering packages and activities available too. Our Orchard & Cidery Tours are a popular way to start your visit, whether you are a budding cider maker, horticulturist, gardener, experimenter or just someone who appreciates a good drop and wants to learn something new. Tours: 45-60 minutes and include a private cider tasting with head cider maker and orchardist, Mackie. Advanced bookings are necessary.